In a political story nobody was expecting, former Blink-182 frontman Tom DeLonge's name showed up in WikiLeaks' latest dump of Hillary Clinton campaign manager John Podesta's emails. The important policy matters DeLonge wanted to discuss? 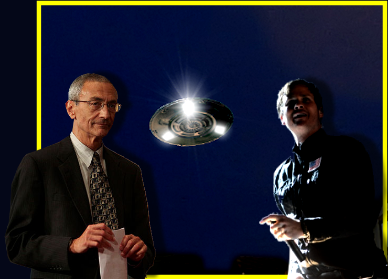 Aliens, with the released emails hinting at a potential UFO-related project between the two.